We move to PV for our kids, for the outstanding school district we have. But where are kids welcome after school? And where can they skateboard? The third most popular sport among youth. The time is right for our community to provide a place where kids can skate and be safe and welcome. Skateboarding is not a crime. 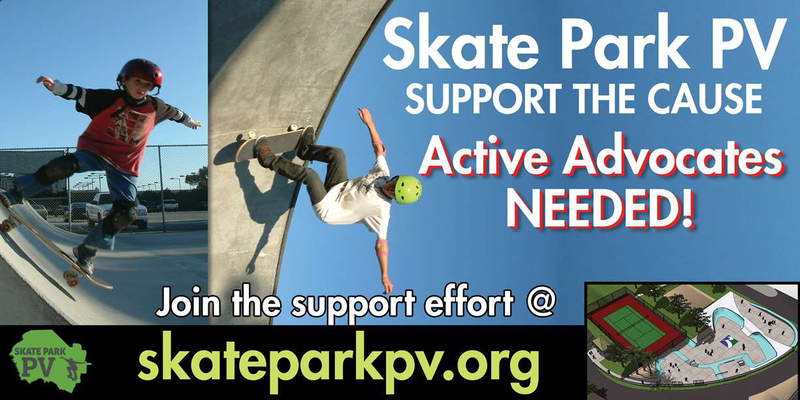 Our mission statement is: Provide a safe and welcoming environment for skateboarding on the Peninsula, where skaters can recreate and practice their sport. Ellen November has resigned as of June 2013.